It has been known for centuries that Tibetan tea has a number of medicinal properties that make it ideal for those who are dieting, as well as those who are suffering from constipation. For dieters, Sodot HaMizrach's special formula in their Tibetan Tea brand provides for strengthening of the immune system. 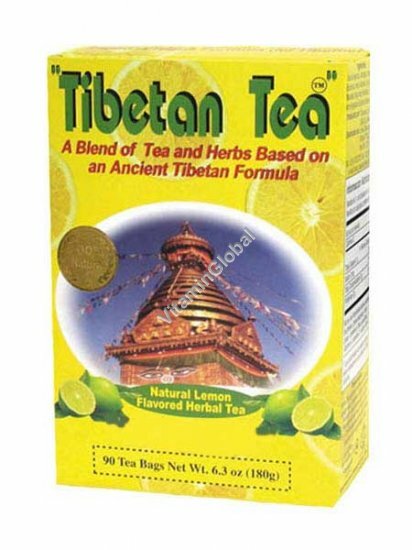 For constipation sufferers, drinking Tibetan tea acts as a natural laxative which is quite effective. Kosher Badatz Beit Yosef, Rabbanut Holon. very god tea i recommended to any body infarct i have recommended to all my friend and they are very happy is my everyday tea. more bloating i feel very light and i also lost weight especially when you watch what you are eating. im very addicted to this tea believe me guys i never used any good tea like tibetan tea my favourite flavour is lemon and mint. Date Added: 10/28/2018, by Sandrine M.